The Sangchhen Dorji Lhuendrup Lhakhang is a temple plus nunnery perched on a ridge overlooking Toebesa, Punakha and Wangduephodrang valleys. 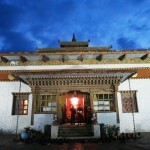 The lhakhang comprises a double storied temple, a chorten resembling Nepal’s boudhanath stupa and a nunnery complex. The lhakhang was consecrated by His Holiness the Je Khenpo and the event was attended by His Majesty the King, the Fourth Druk Gyalpo, members of the royal family along with hundreds of people from Punakha. The temple houses a 14-foot main bronze statue of Avalokiteshvara (Chenrigzig chagtong chentong). Other statues include those of Guru Padmasambawa, Gautama Buddha, Zhabdrung Ngawang Namgyel, Tsela Namsum, the 21 Taras and Tsepamay (Buddha of longevity). Meanwhile, the nunnery complex, consisting of 70 rooms, initially started with 41 nuns. 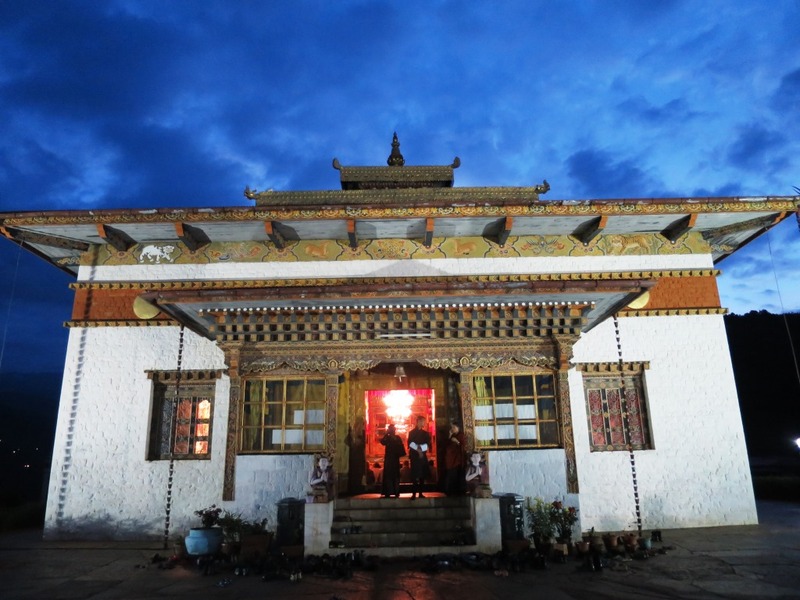 The skillfully carved black marble blocks surrounding the stupa, depicting the 84 Mahasiddhis, 16 Arhats, and the great lamas of Drukpa Kagyu lineage is the unique feature of this monastic complex.